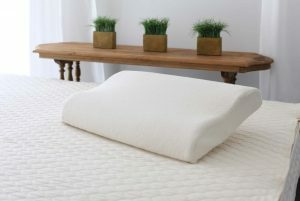 The Savvy Rest Pastoral is an all organic wool mattress covered in an organic cotton twill. 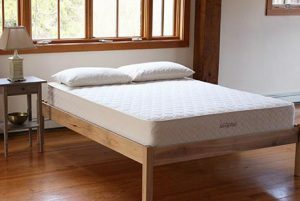 Similar to a futon, this organic mattress is basic and pure, with a GOTS certification. 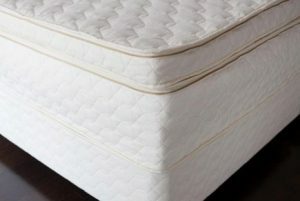 Availability: Ships directly from the manufacturer in 3-4 weeks. 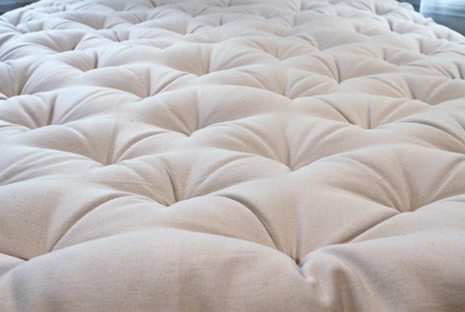 The Pastoral is made from 4.5 inches of organic wool covered in an organic cotton twill. 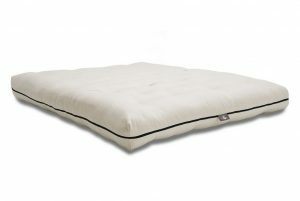 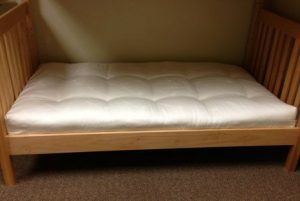 Similar to a futon, this mattress is flexible and can be used on a futon frame. 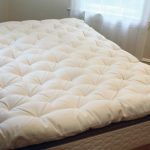 Each is handmade and hand tufted with natural linen thread. 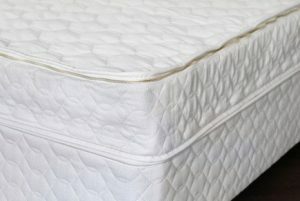 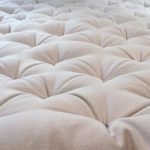 Like all natural fibers, this organic wool mattress is subject to some degree of compression. 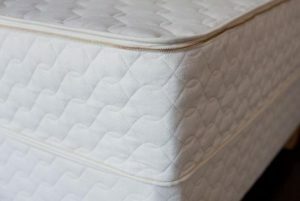 To reduce body impressions, this mattress should be flipped and rotated regularly. 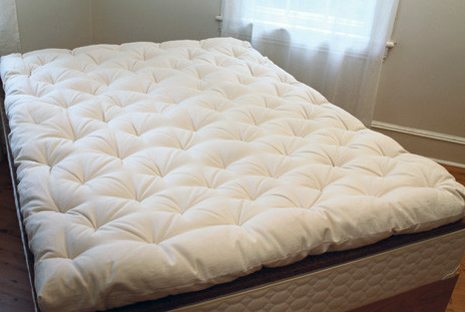 We highly recommend that you use a Savvy Rest Bed Rug to add breathability and support on top of a slatted bed. 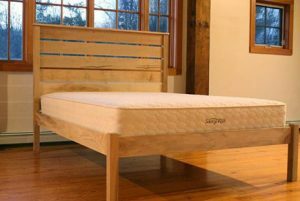 Made in the USA by Savvy Rest.